A competition conceived by Ian Fleming is looking for typographers to create a new letter design. When he wasn't busy penning James Bond novels, Ian Fleming also experimented with typography. 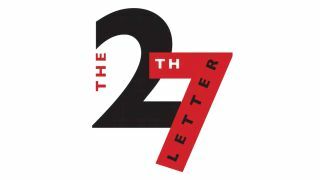 In fact, in 1947, while helping out at the typographical magazine Alphabet & Image, he hit on the idea of a competition that called for designers to create a 27th letter of the alphabet. Now, 70 years later, the contest is being run again in connection with The Book Collector. The 2017 competition will follow Ian Fleming's original rules, namely that the experimental design must conform to the alphabet as known in English-writing countries, and that it must represent a recognised sound or combination of sounds. In terms of design, entrants must also demonstrate decorative, philological and typographical skill. James Fleming, Ian's nephew, says: “I was intrigued to hear about the alphabet competition and I thought it was a good idea to give this another go. Creative heads don't need a professional qualification in order to enter. Anyone with an idea as to how the English language could be improved in a way that complies with the competition rules can take part. "Last time submissions included '-sion', 'th' and 'st', but alternatives are yours to explore. Given that most people embrace the fast-moving world of social media, perhaps this time the new letter will become part of the alphabet." Full rules and conditions can be found at The Book Collector, with the competition running from 15 March to 25 April 2017. The winner will be announced at the ABA Olympia Book Fair on 2 June, with a £250 cash prize up for grabs.